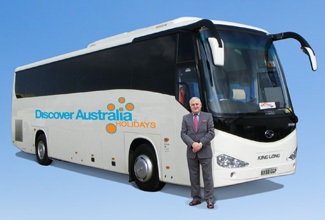 Luxury Coach Tour with Hotel Pick Ups, Tea, Haigh's Chocolates, Overnight Accommodation. Luxury Day Tour with Hotel Pick-Up,Morning Tea, Bakery Sampler Plate, Winemaking Tour, Wine Education, Special Two Course Lunch, Wine Tastings, Overnight Accommodation . DAY 4 Murray Paddle-Steamer with Special Lunch. Luxury Coach Tour with Hotel Pick-Up, Morning Tea, Paddle-Steamer River Cruise, Special Buffet Lunch, Overnight Accommodation. You have 3 choices of accommodation in Adelaide. Our "Good Standard" central Adelaide hotels have great facilities, a comfortable room and friendly service (typically 3.5 stars). Alternatively, why not treat yourself? The "Deluxe" hotels have superior facilities, stylish rooms and first class service (typically 4 stars). The “Luxury” hotels are upscale with a more luxurious feel for the discerning traveller and great for celebrating an anniversary (typically 5 stars). You’ll receive the FREE DISCOVER AUSTRALIA Bonus Voucher Book that includes $500 value of discounts and bonuses throughout Adelaide and South Australia at shops, restaurants attractions, wineries etc. 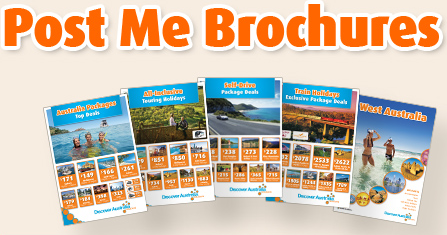 It’s a great way to save even more on your Adelaide holiday. The Adelaide Essentials is very popular. Many dates book out well in advance, please book soon.